"The contractors at Graham Remodeling are the most versatile home improvement professionals in Illinois today." 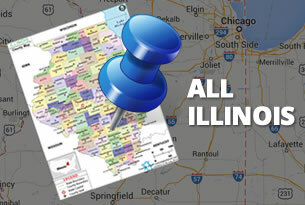 "The coverage area for Graham Remodeling currently consists of 30 miles around Chicago!" "Whatever your home needs may be you're entitled to a free evaluation and written estimate from professional contractors." "Your home remodeling work from Graham Remodeling is going to be beautiful, functional, and reliable for years to come." Graham Remodeling is a Chicago area referral service which connects homeowners with the best contractors in Illinois. 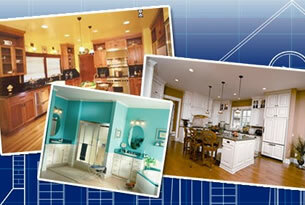 Our goal is to be your one-stop shop for whatever your particular remodeling plans may be. 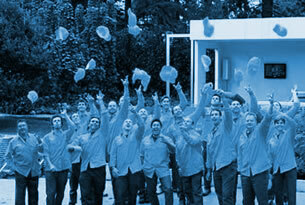 Learn more about us and our contractors here. Unlike other contracting companies which focus on just a particular piece of home remodeling work, we at Graham Remodeling work to provide homeowners with an incredibly wide selection of home remodeling solutions. Learn more about what we could do for you here. Thanks to the positive reviews of our customers, you can now find representatives from Graham Remodeling in nearly every town with 30 miles of Chicago! To find out about the particular contractors in your town, use our simple coverage directory tool, here. "We used Graham to find contractors that could remodel our home's kitchen, and we found amazing ones! The results are just what we wanted and their care and attention were very obvious. I'll be calling them again!" - Erin C.
"The workers from Graham Remodeling were super helpful! They removed an old tree from our front yard in just a few hours, even made the lawn look great where the stump had been!" - David D.
"The workers Graham Remodeling connected me to were prompt, caring, and best of all, knowledgeable about everything they did for my home's painting project! They left me completely satisfied!" - Gary O.